Riyo Advertising is not liable for any inaccurate / misleading information/ advertisement. It is the responsibility of end-user to research /verify / accept bonafide' content. Riyo Advertising is not responsible for the consequences of any actions taken based on the information provided on the website. Buying and selling through Riyo Advertising is available only to individuals who confirm all the valid and legal requirements to enter into a valid contract enforceable under the law. Under no circumstances will Riyo Advertising be liable for any loss to the advertiser for any error or omission on part of the publication. Cancellations and alterations will be accepted only in writing given to Riyo Advertising with at least 7 days prior notice and will be executed under our cancellation policy. All Ads are accepted in good faith and Riyo Advertising.com accepts no responsibility whatsoever regarding the bonafides of the Advertisers', nor can any interviews be granted or correspondence entered into regarding any advertisement published. The advertiser indemnifies Riyo Advertising for any action or claim by any third party resulting from any advertisement instructed by the advertiser or its agency. Under no circumstances will Riyo Advertising be liable for any loss to the advertiser for any error or omission. Cancellations and alterations will be accepted only in writing. Riyo Advertising in its sole discretion shall reserve the right to modify the Terms & Conditions at any time and without prior notice to its users/advertiser, and edit, modify and alter the content of the advertisement. User agrees that the online advertisements placed with Riyo Advertising shall be reflected within 48 hours. User understands and agrees that the User is responsible for all applicable taxes and for all costs that are incurred in using the Riyo Advertising service. 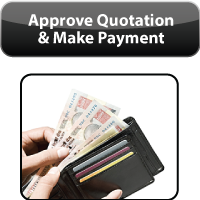 We may also, in our sole discretion, add or delete fees associated with the Service. User agrees that use of the service is at user's sole risk. The service is provided on an "as is" and on an "as available" basis. Riyo Advertising expressly disclaims all warranties of any kind, whether express or implied, including, but not limited to the implied warranties of merchantability, fitness for a particular purpose and noninfringement. Riyo Advertising makes no warranty that the service will meet user's requirements, that the service will be uninterrupted, timely, secure, or error free; nor does Riyo Advertising make any warranty as to the results that may be obtained from the use of the service or as to the accuracy or reliability of any information obtained from the service. The user gives Riyo Advertising exclusive, worldwide, royalty-free, irrevocable, sublicense able (through multiple tiers) right to exercise all copyright and publicity rights, in any existing or future media, known or unknown, over the material or User Data displayed in the user listings. For the purpose of this Agreement, "User Data" shall mean all information (if any) submitted by the surfer, (the "User") to Riyo Advertising with the exception of trading data, credit card numbers, checking account numbers, etc. "Individually Identifiable User Data" shall mean that subset of "User Data" which can be reasonably used to identify a specific individual such as their name, address, phone number, etc. The User Data shall be deemed to be the property of Riyo Advertising. The user shall take all reasonable efforts to ensure that it is accurate and complete and not misleading in any way. 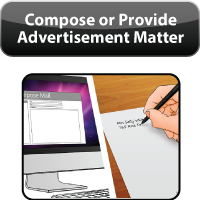 Notice: Any notice to the advertiser/user or to us shall be made by either email or regular mail. We may also give notice of changes to these Terms & Conditions or other matters related to Riyo Advertising by displaying notices to Users on the Service. These Terms & Conditions and the relationship between User and Riyo Advertising shall be governed by the laws of the State of West Bengal, without regard to its conflict of law provisions. User and Riyo Advertising agree to submit to the personal and exclusive jurisdiction of the courts located within the State of West Bengal. Riyo Advertising is accepting the advertisements only on behalf of the publications featured on the site. It is in no way responsible for any delay by the publications to discharge any of their obligations towards the users. Riyo Advertising shall reserve the sole discretion and irrevocable right to offer / not offer schemes / services/products/new features/discounts / promotional packages on its web site exclusive to any existing or future media, known or unknown mode and vice versa. Riyo Advertising shall reserve the exclusive right to cancel any content whatsoever from being published or reflected on its website or in any other mode. The cancellation charges payable to the advertiser shall be at the applicable rates laid down in the cancellation and refund policy. Please help us keep the Riyo Advertising site an enjoyable experience for all Users. If users observe materials or behavior that may violate or are in violation of the Riyo Advertising Terms & Conditions, users are requested to contact Riyo Advertising.